This game is just fun folks and I think that it’s pretty much established itself as a must have game on this new console in the Australian Marketplace. 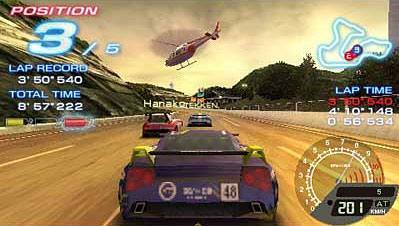 Who knows what treats are in store for PSP owners down under, but in the mean time Ridge Racer have presented us with a very solid game that is a lot of fun to play. 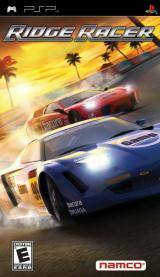 For those who are not used to the series and shame on you, Ridge Racer is the quintessential arcade racer for those who want to get in and get playing. There are others on the market but nothing really holds up to what we have in store for you here. The game is absolute eye candy and it is perfectly suited to the 16:9 screen on the PSP and it truly is lush. The style of racing is straight forward and there is a learning curve of about 5 minutes if that. Of course to develop a better driving style will take a bit longer but to just get in and enjoy this great game is practically an immediate process. Even though the cars at the start of the game are cool, you can progress throughout it and get even better ones as you unlock levels and vehicles. They are the type of incentives that will make you play through the game even more for the great rewards that are on offer. Make sure that you have a good play through the game as when you unlock bits and pieces you are going to want more. For those of you who have been paying attention, Namco has seen fit to put in the best tracks throughout the series, and some only seen in arcades for this edition. Add to that about 4 new tracks specifically for the PSP and you know that you are going to have a blast with this title. The audio is taken care of by 30 odd tunes that are from all over the series and they suit the title perfectly. I was frankly amazed at how much has been packed into this game and the fact that a lot of bigger publishers seem to be having problems in doing something just as good. 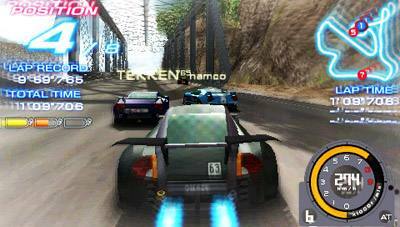 A solid affair, I heartily recommend the Ridge Racer game for PSP. The level of detail in the game, superb graphics and killer audio will make this title a keeper on this platform. This is what gaming is all about!